A teenager on Friday was injured after a knife-wielding man attacked him outside a public library in what police are saying was an unprovoked attack. Sergio Quintana reports. 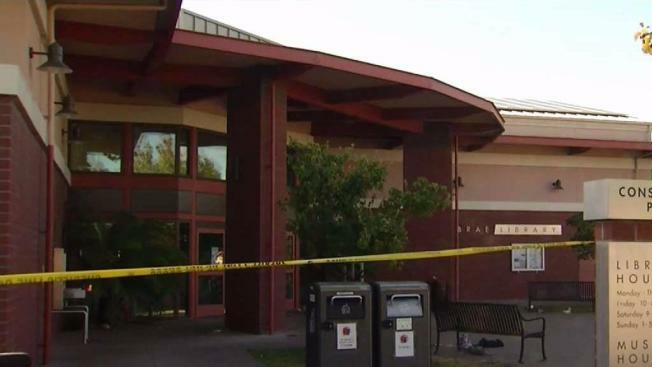 A 13-year-old boy in Millbrae, California, was injured after a knife-wielding man stabbed him outside a public library on Friday, in what police are saying was an unprovoked attack. Police said a 44-year-old man from South San Francisco approached the teen, who had just finished the final day of classes at nearby Taylor Middle School, and began randomly attacking him with a four-inch pocket knife in front of the library. "Once the kid was stabbed, obviously he was afraid, he was panicking so as he was doing so, he was moving around a lot," San Mateo County Sheriff's Office spokesman Sal Zuno said Friday. The boy suffered multiple stab wounds on both of his arms and was taken to a hospital, police said. He is expected to recover. Deputies were on scene seconds after the 911 call. They took the suspect into custody, police said. The suspect was taken to San Mateo County Jail in Redwood City, but authorities did not release his name. He has been charged with willful injury to a child and attempted murder, police announced Saturday. Officers thanked the middle schooler's friends who helped him after he ran inside the library following the attack. "After the attack, his friends did not leave his side," Zuno said Friday. "His friends actually gathered him and rushed him inside into the bathroom so his friends acted very bravely." CORRECTION (June 10, 2017, 4:20 p.m. PST): Police originally stated that the suspect was 40 years old. They have since clarified and said he is 44 years old.